Foundation President Ron Gallo at the Santa Maria headquarters opening Nov. 30. 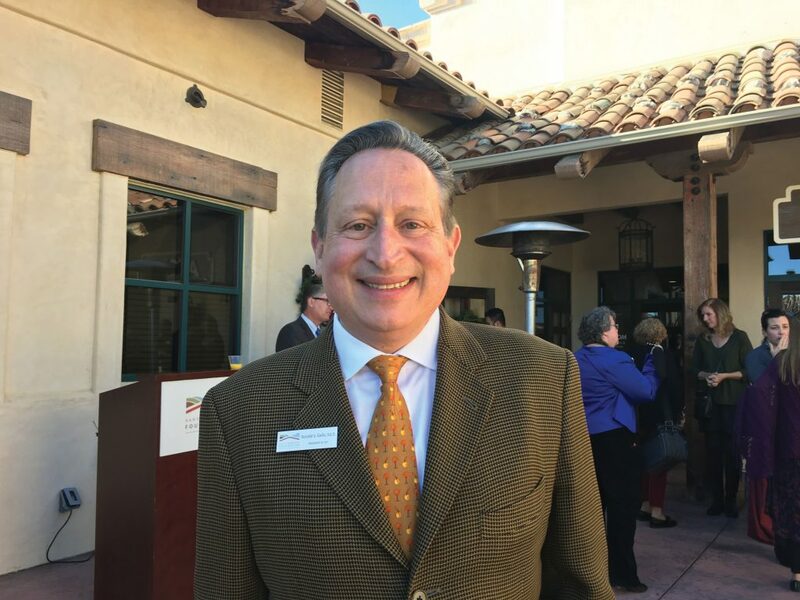 The Santa Barbara Foundation took a big step in expanding its footprint in North Santa Barbara County on Nov. 30 with the opening of a regional headquarters in Santa Maria. The 2,600-square-foot facility at 2625 S. Miller St. will be staffed with full time community outreach members and an office manager. Foundation President Ron Gallo or Chief Philanthropic Officer Jan Campbell will be in residence roughly one day a week and foundation board meetings will be held in a special conference room that will also accommodate other nonprofit board meetings. 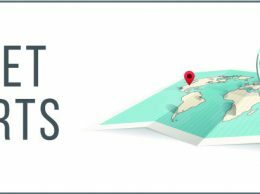 With more than $320 million in assets, the Santa Barbara Foundation is the largest foundation in the region, according to Pacific Coast Business Times research. 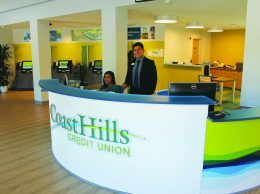 Opening the regional headquarters marks an extension of a program that began two decades ago when the foundation launched a North Santa Barbara County affiliates program to connect with nonprofits and facilitate community giving in the Santa Maria Valley. 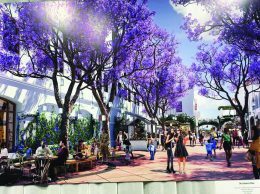 Foundation Chief Operating Officer Judy Taggart negotiated the lease on the Miller Street property and said it was a step forward in meeting the needs of North Santa Barbara County. Kathy Simas will be the foundation’s north county director. With a larger population than the South Coast and higher unemployment, Santa Maria and Lompoc have been much slower to recover from the Great Recession than the Santa Barbara-Goleta area. Recently, the Santa Maria Valley has experienced a bit of a building boom, including new apartment projects being built by the Towbes Group. Santa Maria City Manager Rick Haydon and Santa Maria Valley Chamber President Glenn Morris were on hand for the foundation’s headquarters opening along with a number of nonprofit leaders. Gallo said the foundation had one recent success in partnering with Marian Regional Medical Center to train physicians who will remain in the area once their residency ends. Other projects the foundation is working on in North County include increased programs and services to caregivers and a program that encourages sensible development to preserve farm resources that help stamp out hunger and create local sourcing for food. During a brief interview with the Business Times, Gallo said he was also interested in working with Allan Hancock College to explore ways to bring a four-year degree program to the Santa Maria Valley.